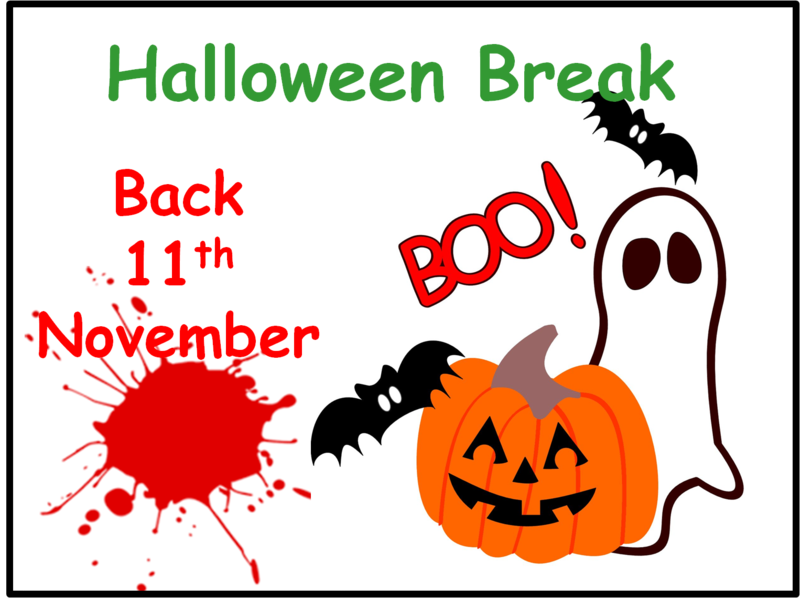 Hope you enjoyed this weeks session and remember we are off for the mid-term and so our next session is on the 11th of November. To get ready for the spooky season we created a Halloween Scene, lots of scary sounds and switching of costumes to create the effect of movement. 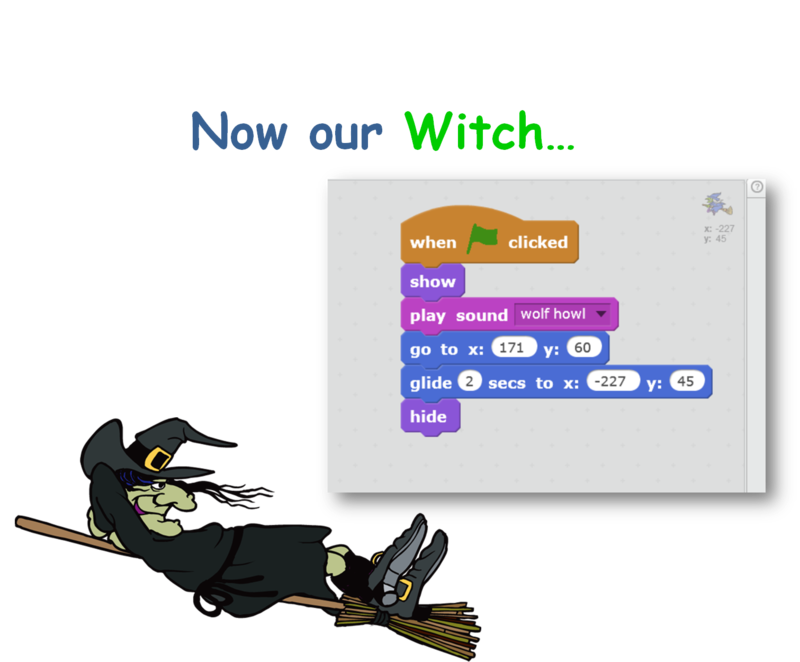 I chose a Witch with a wolf howl but I saw lots of great ideas as I was going around the room. Some had Ghouls, others Vampires, its was all pretty scary. We also learnt a nice trick for giving the allusion of movement. We had a bat change both its size and Costume and it worked very well to give the effect of the bat flying towards us with the moon behind it. 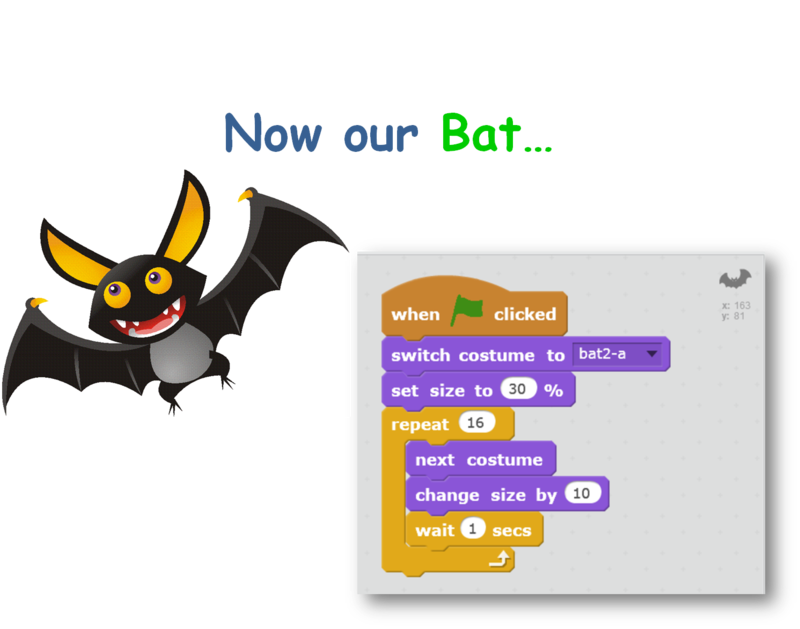 Also if you want the completed Scratch Code you can download it by going on to the Scratch.mit.edu website login to the CoderDojo Account (details are in the notes) and search for CDA_Martha_Week06. Hope you have a great Halloween, be safe when you are out Trick or Treating but have lots of Fun! !